I hear these laments all the time. These are some of the realities of congregational life. In their struggle to deal with them, leaders often ask the question, “How can I get people to change their behavior?” The answer, many of us think, comes down to more information and changing attitudes. We reason that if we can just give people the right information; if we can get them to think differently, then they’ll come and visit, they’ll readily volunteer, they’ll get along, they’ll contribute generously. Well, social scientist Jeni Cross, sociology professor at Colorado State University, tells us that this reasoning is incorrect. She debunks two of the myths of behavior change, that education changes people’s behavior and that in order to change behavior, you have to change people’s attitudes. Instead, Cross contends, the most effective way to change behavior is to change behavioral expectations or to reinforce existing social norms. 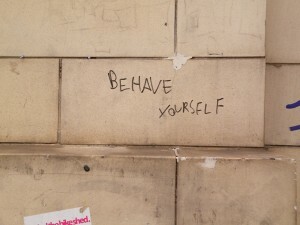 To put it simply, people are more likely to change their behavior if they see others doing it. So, for example, if you want people to be more ecologically responsive, you won’t get them to do it by appealing to the need to save the planet. They’ll be more likely to respond if you display an ad showing George Clooney or Katy Perry tossing a plastic water bottle in a recycling can. If people are going to toss a dollar bill into the guitar case of a street musician, they are more likely to do so if they see other people doing it. We are more likely to change our behavior if we see that it is part of the social norms in the context of that situation. In our efforts, then, as leaders in our congregations, it is not enough to just provide information. It is not enough to inspire and challenge and motivate potential and current members so as to change their attitudes towards the congregation and Unitarian Universalism in general. We need to do more. We need to change the expectations of their behavior. We need to create new social norms.We need to change the culture so that people respond because they see everyone else doing it. So how do we do that? Hey, I’m not saying this is easy. But here are some things you can try in response to the lamentations I listed above. What they all have in common is that they are intended to demonstrate or reinforce expected behavior rather than relying on information or inspiration to get people motivated. Can’t get young adults to join…or even to visit? Post pictures of young adults on the home page of your website engaging in various activities related to congregational life. Include one or two quotes from young adults on your website talking about life as a member of your congregation. Encourage young adults to serve as greeters. Nothing is more impressive to a young adult visitor than walking into the building and being greeted by a young adult. Make it a practice to read your covenant at every Board and committee meeting and every other event at which members congregate (of course, make sure the covenant is short enough so that you’re not taking half the meeting reading it). Look for fellow members who are living out the covenant and publicly and privately thank them for doing so. Publish a story in each issue of your newsletter profiling a member who embodies the tenets of the congregational covenant. No volunteers for the Board? Publish a list of all past Presidents in the history of the congregation. Let your congregation see what a distinguished list of leaders it represents. Ask current and past Board members to talk about their positive experiences in service. Either publish their comments in your newsletter or ask them to do a testimonial during a worship service. At least twice a year, during a worship service, ask all members of the congregation who are in volunteer positions (any position) to rise. Chances are it will be a very large majority of those in attendance. You and the members of the congregation will see that serving others is more of a social norm than you might think. Need to fill up the coffers? Ask people to give live and written testimonials on why they give and how the congregation makes a difference in their lives. Publicly acknowledge people who do pledge during the fund drive, with a ribbon that they can attach to their nametag (I PLEDGED FOR (CONGREGATION)) or by putting their names on a display that is shown prominently in the lobby for all to see. Throughout the fund drive, continuously make the congregation aware of how many people and what percentage of the congregation has already pledged. You want members to see that pledging is the norm. Everybody’s doing it, so why not you? Consider a “Pledge Sunday” where all members of the congregation are asked to step forward and drop their pledge in a ceremonial basket as part of the worship service. None of these strategies is a quick fix. Effecting behavior change means changing the culture, and changing the culture takes time. Our congregations are not speed boats. We are more like big ocean liners and it takes a lot more time and effort to turn an ocean liner than a speed boat. So, we need to continue informing and educating. We need to continue inspiring and challenging. But we also need to be demonstrating and encouraging and reinforcing positive behavior. And where do we begin? With you, leader. 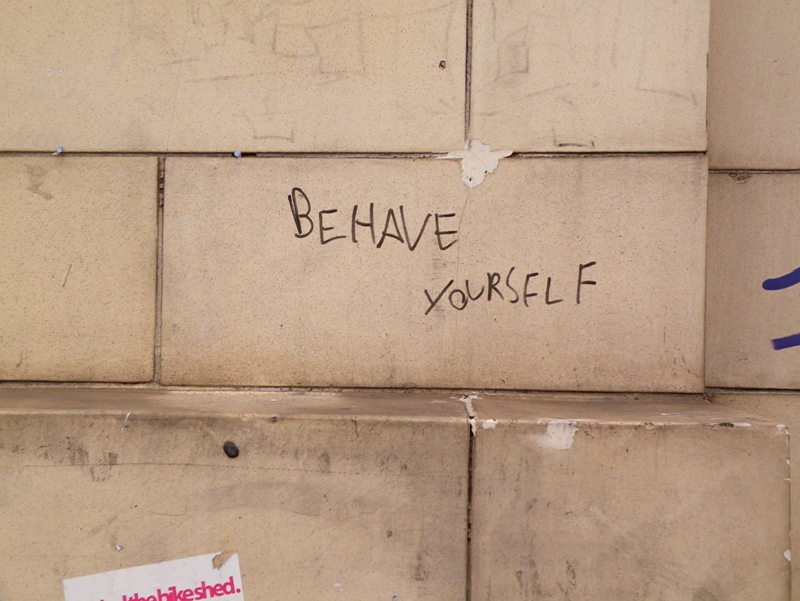 Behave…Yourself. Mark Bernstein is Congregational Life Staff with the Central East Regional Group. He always behaves himself and has never been on either a speed boat or a big ocean liner.